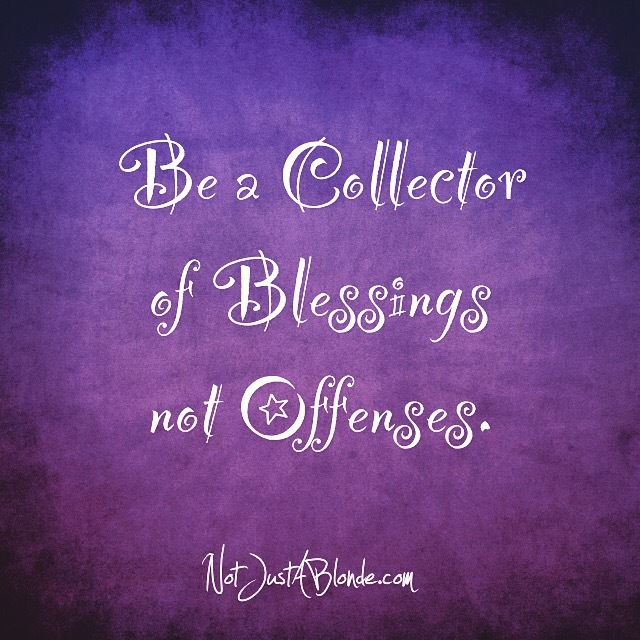 Be a collector of Blessings not Offenses. Blessings are good things that happen, things you receive that you don’t particularly deserve or that you haven’t earned in some way. It’s Life’s Grace in action. Collecting offenses is when you take note of negativity. We collect offenses by placing in list form of all the things that others in this life throws at you unintentionally that impact your psyche in a negative way. Collecting offenses can feel like it protects you from further offenses, but truthfully it just attracts more to you. It is much better to place your thoughts into the positive things in this life… in this way you will be blessed more and more. Hahaha! I do what I can! How are you doing now? ‘twernt you. :oP But after a combination of talking to her and later with the conversation I had with my girlfriend, I realized what’s important is what I have right before me. I have amazing friends with whom I share a deep bond – present company included – and that’s what matters most. The failures, the unanswered questions, shouldn’t matter. ; I just have to let go of that and focusing on what’s important will help.